Be the cause, not the effect means taking charge in your life proactively, as a leader of yourself and others. The opposite of this is reacting to others, waiting things to happen. To demonstrate the difference I give 3 examples from the domains of job interview, dating and business. For most of us the way to personal and professional development is limited to increasing our knowledge, technical and marketable skills such as computer, language and communication skills. Developing skills are essential but there is another level beyond the skill level. A level that almost everybody ignores or doesn't even know about: learning to operate our minds more effectively, upgrading our mental structures and processes. Is multiple personality disorder, or as it is today called Dissociative identity disorder (DID)? I mean we change all the time. When we are angry, sexually aroused, relaxed, euphoric or in any other state, we believe and value different things, our priorities are very different. And socially we are require to behave differently as we move from group every day several times. We have multiple personalities, pay different roles in different situation. It is called adaptation to the situation. 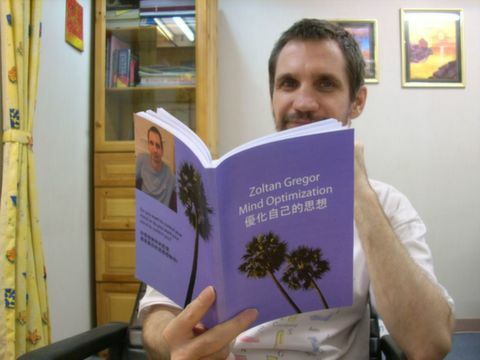 Studying and applying the mind optimization method, which I described in my book "Mind Optimization" and teach in this course can help you better understand how the mind works, and how to make its components more flexible and compatible with one another to get them to work together in a more synchronised, systematised way to achieve your objectives. The quality of our lives depends on how well we can master and harmonize our minds, maintain our bodies and health and influence the environment we live in. We cannot influence all the factors that determine our lives, but everything we are able to control is originated from our minds and results in our actions, relationships, emotional states, health, financial and career situations. Most of the mind’s activities happen automatically, often unnoticed at the moment and we do not have much chance of influencing their result. In these moments, we virtually function as pre-programmed robots. We react to things with thought patterns our minds happen to be set on. The purpose of this self-development and mind optimization course is to help you investigate and if you want, upgrade your mental models (beliefs), values, needs in those areas where you want to improve your life. You can discover how your own mind often tricks and misleads you by quickly creating one version of reality when actually you could come up with several other versions if you were not so sure about yourself and questioned your subjective reality. We also look at how other people, parents, friends, the education system, the media and the government program our minds just to serve their own interests. By offering a few options to choose among, they create us the illusion of freedom. By discovering how the system and the society plant beliefs and values into our minds and how they select and present the information they want us to focus on, you can start to learn how to take the control over your mind.